Wi-Fi is an everyday essential utility, but public Wi-Fi hotspots can be few-and-far between, or cost a metric bum-load of money to use. 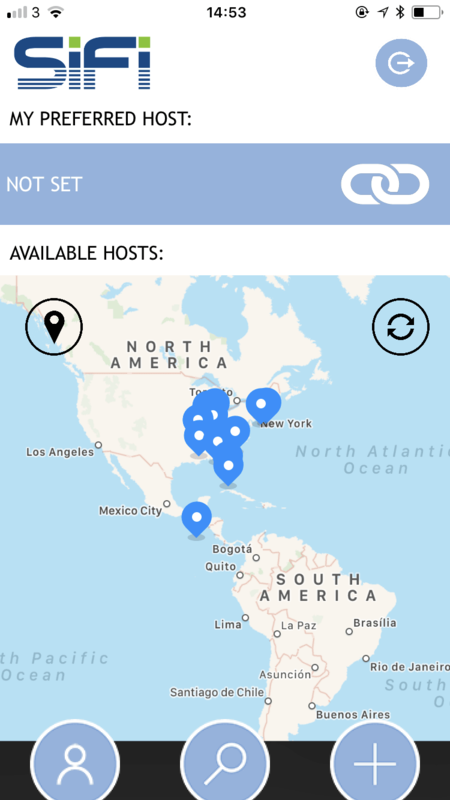 So, why don’t people share their Wi-Fi hotspots through an app? I mean, it already happens with cars and homes (Uber and Airbnb respectively), why not Wi-Fi? That’s the premise of SiFi, and it’s not an entirely awful idea. The Wi-Fi hotspot market is expected to be worth $5.1 billion by 2025. Rather than have all the money go to a handful of providers, like Bitbuzz and Boingo, why don’t ordinary folks get a slice of the pie? 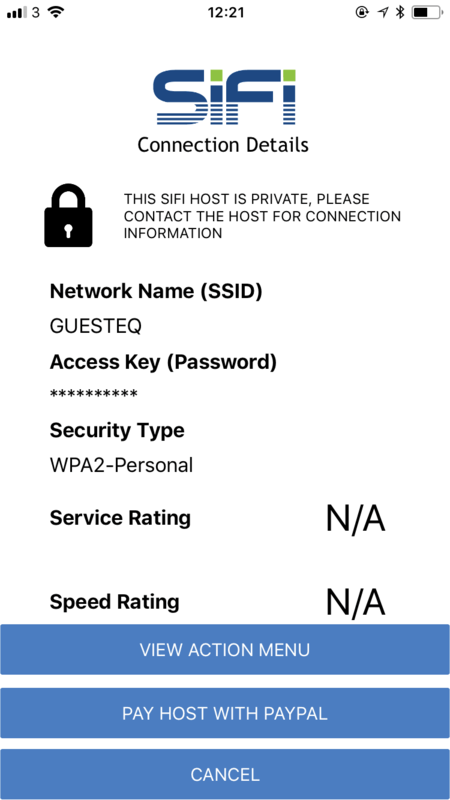 SiFi lets anyone list their Wi-Fi hotspot to the world. Users can rank hotspots out of ten for speed and service, and if they’re extremely happy, they can tip (via PayPal) the owners. SiFi landed on ProductHunt earlier today, and quickly gained the attention of the community. Because, again, it’s not an entirely awful idea. I’m just not wild about the execution though. The app feels dated and amateurish, and doesn’t really resemble a contemporary iOS application. One Product Hunt user remarked that it looks like it was created for iOS 6, before Apple switched to a flat design, and he’s absolutely spot on. Some areas gave me cause for concern, purely from a security point of view. While services like Airbnb require you to link your account to a social profile, I was able to create an account without any email or identity verification. 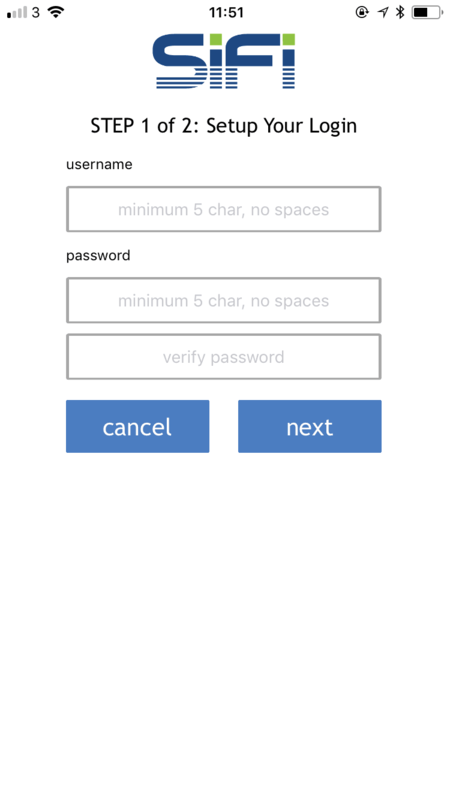 If you share out your Wi-Fi password with this, there’s really no way of knowing who will access it. That’s a problem, because what happens if someone uses your Wi-Fi to do something illegal? 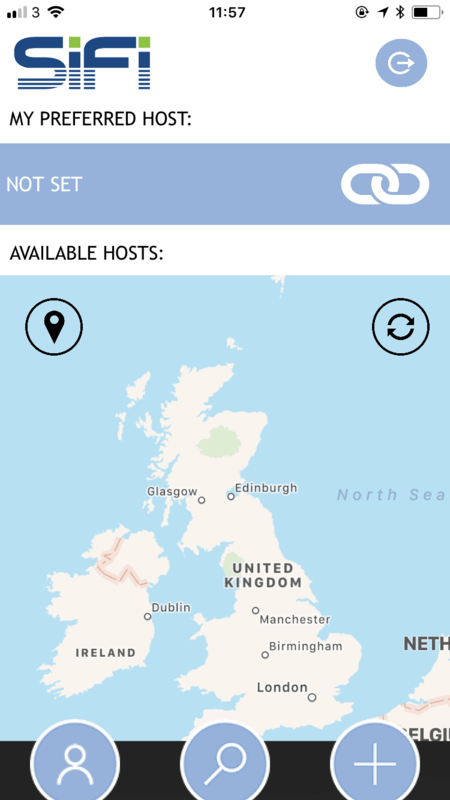 Another thing: Hotspots are listed as ‘pins’ on a map, and in many cases, you can see the password in plaintext. You can see this regardless of where you are in the world, and whether you intend to actually connect. Yikes. In some cases, hotspots are listed, but the owner has chosen to obfuscate the password (as demonstrated above). In order to connect, you must first contact the owner via the app. This adds a layer of security, although it sorts defeats the purpose of the service, especially if you need access to a hotspot immediately, and can’t afford to wait for a reply. I had some other complaints, too. SiFi didn’t actually validate the email I used to create my account, and it allows passwords of just five characters in length. 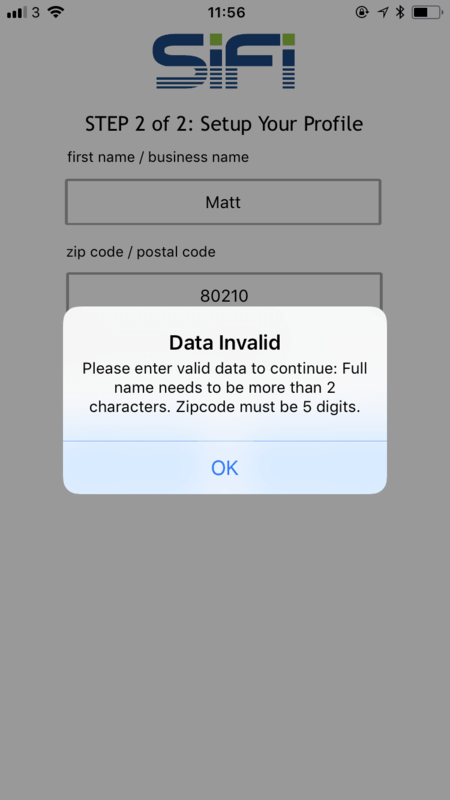 Form validation doesn’t work particularly well. And despite my best efforts, I could not find a password reset function. This doesn’t really inspire confidence, especially when you’re dealing with something as sensitive as network credentials. It makes me wonder if they’ve cut security corners elsewhere. SiFi also fails to communicate the inherent risks of opening up your Wi-Fi to the world. 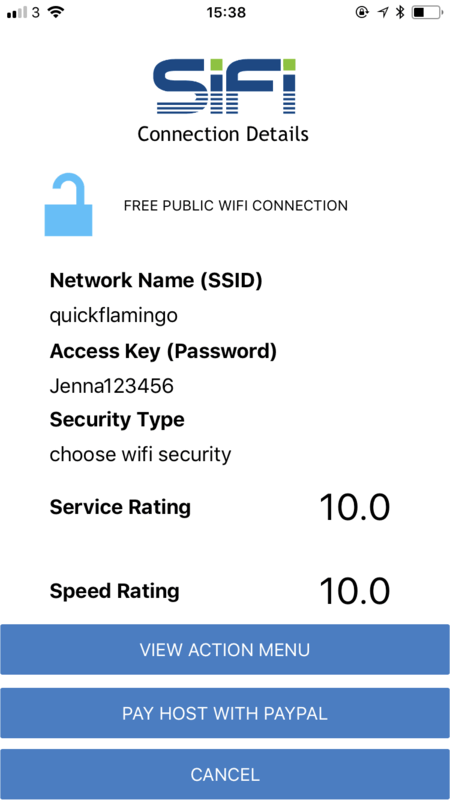 It doesn’t mention, for example, that if someone accesses your Wi-Fi, they’ll also be able to access many of the connected devices in your house. From a practical perspective, I don’t see how anyone could depend on SiFi. Currently, it only has a handful of hotspots listed, with the overwhelming majority concentrated in the Eastern-half of the United States. And given users can’t set their own pricing for access to their Wi-Fi hotspot, and there’s no guarantee you’ll get a tip, I can’t see this changing. Perhaps the biggest indictment against SiFi is its truly 90’s-tastic advert, starring one of the less-successful Baldwin brothers, Daniel. Danny Baldwin delivers his lines pretty well, but that’s the only nice thing I can say about this, because the overall production values are pretty horrendous. I guess the saddest part is that if they had the cash to rope in some “celebrity talent,” they probably could have spent it on developing the app even further. The idea itself is pretty solid. In particular, I love the idea of democratizing the public Wi-Fi market, and reimbursing those whose Internet I use. There’s something here. But I can’t get behind the current execution of SiFi, which feels amateurish and doesn’t inspire confidence. Especially when other companies, like Instabridge, have done a much better job of largely the same idea.